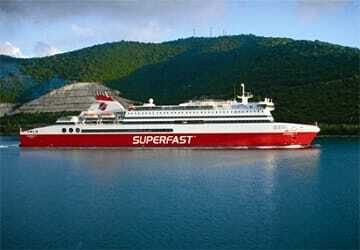 Superfast XI was built in Germany in 2002, it has a capacity of 1639 passengers and can carry up to 653 vehicles. 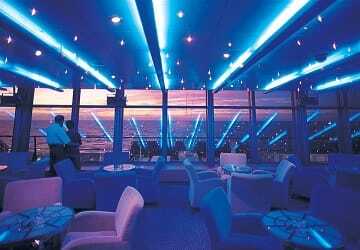 On board you will find various amenities including, a swimming pool, slot machines, late night disco, video games room, outdoor and indoor bars, shopping centre and Wi-fi is also available. Please Note: Whilst we have taken great care in making our Superfast XI guide as accurate as possible, onboard facilities, services and entertainment may vary depending on the date and time of year that you travel, facilities mentioned may change without notification and ferry companies reserve the right to operate vessels other than those mentioned at time of booking without prior notification. I was so tired after a long drive from Turkey and fell asleep in my bunk fast. 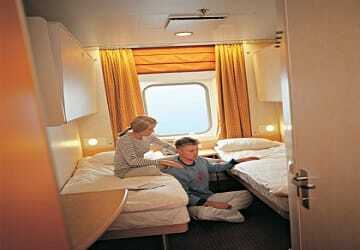 I had a bunk in a shared female dormitory and it was lovely to go to sleep feeling the slight rocking of the ferry. There was a good shower in the dormitory as well. I have tried the other lines that do this trip but will never go back to another company. Anek Lines are perfect; staff and facilities are professional. Thank you Anek! Not exactly superfast, was delayed by 1 hour on one way, then 1.5hours in the return trip. Food onboard was of good quality, but a bit pricey. Reasonable cleanliness and facilities, would use it again. we travelled with deck space and everything went well, friendly staff. 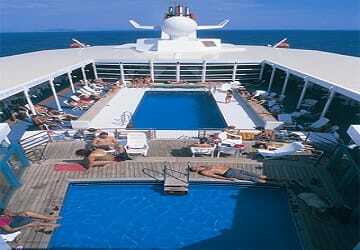 This time, we booked deck accommodation. The staff was very attentive and helpful, toilets were kept clean, and there were no queues at the self-service table. All in all, everything went well. I will take this ferry again next time. Took an age at reception to upgrade to a cabin but received a luxury one in the end which was an excellent berth for the night.We will know to get cabin accommodation before boarding next time.Why does acabin cost about four times the rate for a standard hotel room, I wonder? Must put alot of people off. Food good and readily available. Will use same route returning in November. Good trip, but the seats are very uncomfortable for the night and the area in which they are located, with light always on, door slam very loud and continuous noise. Cabin was comfortable. The shower was very nice. Expected very high prices for food but thought they were reasonable. Internet hotspot was a problem as the boat could not connect for much of the journey. This created problems for both the crew and paying passengers who were frustrated with having paid for an internet connection but having no service. Because of this the service should be free until a more reliable service is found. We sailed through a storm but there was no discomfort on the boat. Boat arrived about an hour late. Unloading went very quickly. We have travelled on this ferry for the last 3 years, the last 2 years we have travelled with our German Sheperd dog Holli, this ferry company are very pet friendly, you can even upgrade to a pet friendly cabin if you wish for an extra € 50. 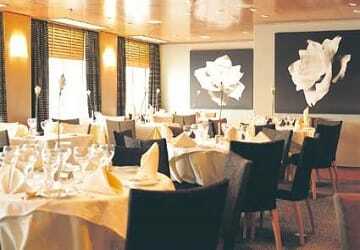 The ship is very clean and the staff are very helpful. We had the pleasure of taking the trip from Ancona Igoumenista. The ferry left on time and arrived in Igoumenista on time. The personnel on board were quite helpful and nice. We will do it again!! We found this service was v professional in all aspects. Staff were pleasant and helpful and we were very grateful for their competence in English. Many also seemed to be multilingual, and any announcements on board were easily understood.The food on board was of a high standard as well as being presented attractively. The public areas on board were pleasant,well furnished and allowed for both shaded and sunbathing outside.The cabins were modern, clean and comfortable. The loading of vehicles was much more relaxed than we are used to on more Northern European ferries, but effective and efficient nevertheless. The timetable is not very practical: -arrival at Igoumenitsa at 6am (it's not easy to wake up at 5am when you're on holidays) -departure from Igoumenitsa at 11pm (a long time to wait), plus we arrived with one hour delay in Ancona, at 5pm right for rush hour and too late to go back to France. Aside from that, I understand that you need to save fuel, but at that pace, calling a boat 'superfast' is nothing short of obscene. For a bit of rest during a journey from Belgium and Greece, taking a ferry from Ancona to Patras is a very good formula. Journey on the way there was perfect. On the return journey we took the Anek line ferry, and we have arrived three hours later. The ferry was overcrowded, the rest of the facilities were ok. The 3rd crossing with this company. Always 3 hours late at arrival! It's disappointed to pay that much and to take 18 hours for a crossing, when 15 hours are advertised. "A journey between Igoumenitsa and Ancone"
I am very satisfied with these two crossings. Everything went well and the quality level of the restaurant and of the accommosation is correct. The timetable was roughly respected and the staff knows its jobs. I think that I will renew this experience next year. The luxury cabin was a bit expensive, but it was a beautiful experience to enjoy the same view as the captain of the boat. 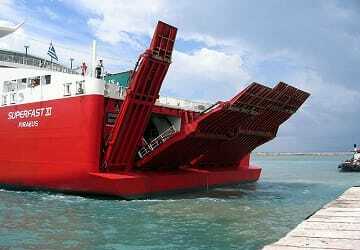 The service is one of the best that we enjoyed aboard a ferry. The concept 'Camping on board' is to be interpreted loosely for Anek-Lines. The open deck is stowed with lorries that block all fresh air. A seerious disappointment! Although the ferry trip was overall very good i had a major problem when trying to park my car on the ferry. The member of staff instructing me where to park eventually through lots of shouting and gesticulating made me reverse my car into some empty beer barrels that were stacked behind me causing damage to my car, he then disappeared very quickly! I can only recommend Süper Ferries. Everything was clean, nice staff and one is fast on target.